Tale Of Us & The/Das – Fresh Water EP, established members of the Life and Death crew join forces with a few new recruits to create an emotional journey across a beautiful new landscape of future music. With the "Fresh Water EP", Life and Death once again bring together a combination of unique musical voices that stretch beyond traditional genres to stake out new territories in contemporary dance music. 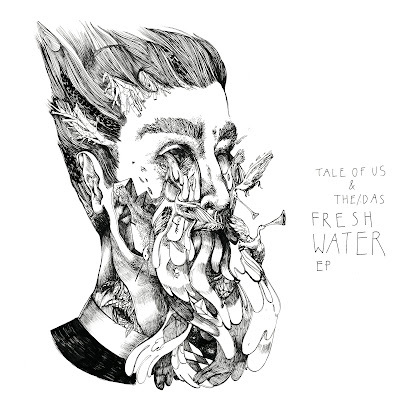 Coming out of the gate like a horse on fire, the title track sees Italian duo, Tale Of Us, return to the Life and Death mothership with a new original piece featuring Berlin duo, The/Das. It's a haunting dancefloor monster that won't leave your mind (or body) quickly, even once the music stops. With its throbbing bassline, ethereal synths and that voice that beckons, cooly but urgently, Fresh Water hits its emotional nerve with razor-like precision.